Advance from razor to laser. Unwanted hair is a nearly universal problem. While some people choose to manage it with daily practices like shaving and tweezing, these practices are only short-term solutions to the problem of excess hair. At Fox Vein Experts, we’re proud to offer our patients a better, longer-lasting alternative — laser hair removal with the GentleMax Pro® laser. Fox Vein Experts are proud to provide patients in the Hollywood and Pembroke Pines areas with a comprehensive selection of both vein and laser treatments. Our practice is led by Dr. Fox, an expert in vein diagnosis and treatment with over 20 years of experience in the field. If you’d like more information about our practice or are interested in scheduling a consultation appointment with us, contact us today! Few Treatments FDA cleared for a wide range of tattoos, PicoWay offers better results in few treatments for different skin types. 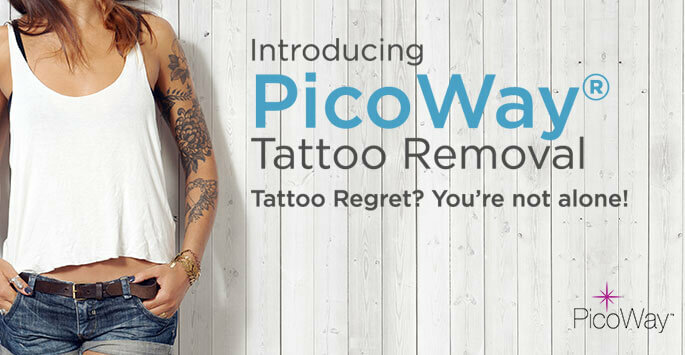 Fast Results With it’s ultra-fast delivery of concentrated, high-power energy, PicoWay will shatter even tiny ink particles making it easier for the body to clear the tattoo ink. Minimized Risk PicoWay’s ultra-short pulses also optimize the delivery of energy to the targeted ink particles ensuring the ink is effectively treated, while the least amount of heat gets transferred into the skin. Tattoos can be a fun, creative way for people to express themselves. But at Fox Vein Experts, we know that sometimes people end up regretting these permanent works of art — that’s why we’re proud to offer our clients access to the gold standard of laser tattoo removal technology — the PicoWay® laser. 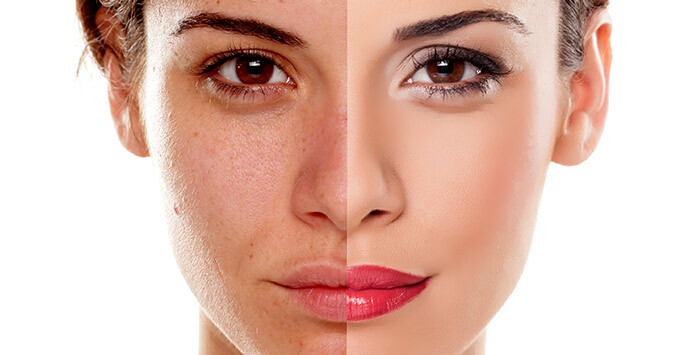 Do you have any visible areas of pigmentation that you’d like to address through cosmetic treatment? Fox Vein Experts are proud to offer PicoWay® laser treatments to improve the appearance of pigmentation on nearly any area of the body. Located in the Hollywood and Pembroke Pines areas of Florida, Fox Vein Experts are proud to offer our clients access to the state-of-the-art vein and laser services administered by a group of dedicated medical professionals. Our practice is led by Dr. Susan Fox, a physician with 20 years of experience in the field of vein and laser treatment. If you’d like more information about our practice or are interested in scheduling a consultation appointment, contact us today. Treats a range of pigmented lesions. Visible Results in just a few treatments. 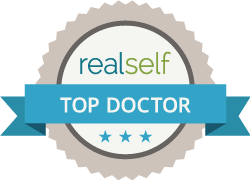 The PicoWay® Resolve is a fractional laser treatment that utilizes the shortest wavelength of laser energy available on the market today. This safe energy can be used to treat a broad variety of aesthetic conditions, including those having to do with the overall look, feel, and health of the skin. Best of all, PicoWay® Resolve laser treatments are safe for individuals of all skin types and shades, making it an ideal skin rejuvenation treatment for all of our patients. Veins are present in every area of the body and come in all shapes and sizes. While veins are vital to every person’s health, some of them can be a source of aesthetic frustration. In particular, small veins close to the surface of the skin referred to as spider veins can develop in highly visible places like the face and legs, causing affected individuals to feel self-conscious about their appearances. Because we know that these small, visible veins can be a cosmetic and occasionally medical concern, Fox Vein Experts is proud to provide our patients access to the GentleMax Pro® laser for vein removal. This laser is one of the safest non-invasive methods of vein removal available today. It can be used on patients of all skin types and ethnicities and has been clinically proven to effectively eliminate spider veins, along with many other aesthetic concerns.